Football considers itself a cut-throat industry, but there was still a sharp intake of breath at the abruptness of Ian Baraclough's fate. His time as Motherwell manager came to an end less than a day after the Scottish League Cup defeat by Greenock Morton, but there ought to be no surprise that the club's owner acted with such clarity and decisiveness. Les Hutchison has spent his working life scaling the heights of the business world. He was not immune to the personal cost suffered by Baraclough but it would have caused Hutchison greater disquiet to fail to address what he considered to be the growing problem of players not performing to their potential. Hutchison has a club to revive and his own investment to manage. He was bluntly critical of some of the players and the rebuke would have been a reminder that everybody at Fir Park has a livelihood to maintain. Even so, it is always the manager's office that is cleared out more readily, and cost-effectively, than the dressing room. The majority shareholder's involvement with Motherwell began as an act of philanthropy. The sums involved - at least a high six-figure loan so far - and football's emotional nature deter a remote approach. Hutchison's main home is in Barbados but he keeps in regular contact with club officials while his daughter, Leanne Thomas, was one of three appointments he made to the board. Baraclough took over as manager just before Hutchison completed his takeover, although the new owner was consulted. As the process begins again, Hutchison's involvement will be more directly influential. There is no appetite at Fir Park for radical upheaval. Hutchison identified areas that badly need investment and attention: the non-football revenue streams, the scouting network and the youth academy. All have been addressed. The next manager will have to work within a framework that prioritises signing undervalued players with the potential to be developed and youngsters graduating to the first team. That strategy is the ideal of every club. 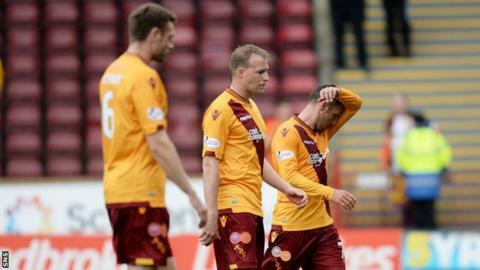 Motherwell have more pressing concerns, since an underperforming squad needs to be motivated and cajoled into more effective displays in the Scottish Premiership. The candidate will be familiar in many ways, since he will need to fit the same profile as Baraclough. A more commanding personality, or better defined leadership skills, will feature prominently in the search, though. There are good players in the Motherwell squad but Baraclough was unable to motivate strong and consistent performances from them. If there was any resistance to the manager and his methods, then change was inevitable. There is a long-term strategy in place but mediocrity is the first ambition. Motherwell's wage bill and resources would be in-line with a mid-table finish and that will seem welcome right now in the midst of a period of turmoil. Sentiment is another casualty of managerial departures. By the end of the day that Baraclough departed, Motherwell had already received 14 expressions of interest and have now had more than 30 applicants for the role. The club will look to appoint swiftly but not rush the decision. A shortlist was drawn up the last time and at least one of the names on it - Dutchman and former Fir Park player Rob Maaskant - has ambitions to manage in Scotland. He is currently in charge of NAC Breda. Mitchell van der Gaag also featured prominently last year, while other figures to be linked with the job already are Mixu Paatelainen, James Fowler and the club's former manager, Stuart McCall. The search may not need to be expansive. Under-20s coach Stephen Craigan has been put in temporary charge of the first team, having returned to the club in July. Still a favourite of the Motherwell fans, he was caretaker in 2009 before Jim Gannon was appointed. Craigan is close to many of the senior players - who Hutchison insists must play a leading role in the team's revival - and he already has good knowledge of the capabilities within the squad. He watched every game from the stand and was in contact with the bench during games. There is economic logic, too, since he is already on the payroll and has worked with the current assistant manager, Steve Robinson, in the Northern Ireland youth squads. Nothing will seem more urgent to Motherwell fans than the appointment of the next manager. Hutchison will feel the same, but he must also keep in mind the strategy for the coming years. He bought the club's majority shareholding with a view to passing it on to the Well Society and delivering a fan-owned club to the local community. He is due a series of repayments to enable the transfer but has already felt the need to urge more fans to sign up for the Well Society. Without enough backing from the supporters, the organisation will never raise the money required and Hutchison has said that he has no intention of remaining as the club's owner. Financial considerations are paramount for the club, since Motherwell lost money even when finishing second in the top flight. If Hutchison has to invest more, then the Well Society has to raise more. The only alternative to the fans taking control in the original five-year timeframe is the club being sold to somebody else. Hutchison's involvement is based on improving Motherwell's fortunes on and off the field but he has no intention of becoming a benefactor. In the meantime, he has to shape the team's immediate fortunes.